As E-Trade’s stock bounced back to $5+ level, it seems the bankruptcy rumor has calmed down a little bit. Actually, instead of going out of business, E-Trade may become a take-over target (that speculation played a big role in driving up the stock price). Additional E*TRADE Securities protection of up to $150 million per brokerage account is underwritten by London insurers (aggregate $600 million). E*TRADE is well capitalized by regulatory standards. In addition, our core business is thriving. Today, over 3.5 million customers worldwide rely on us for their trading, investing, and banking needs. It’s good that E-Trade decided to address my concerns directly, they could have done it earlier to ease account holders’ nerve when the news first broke out. Is My Money Safe if E-Trade Fails? 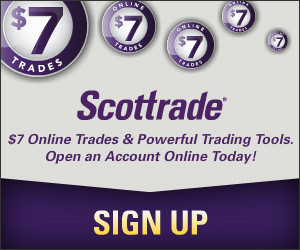 Etrade sure made for a nice trade in the following days of their announcement. I agree, they needed to send a very convincing letter with solid facts and figures immediately after the rumors began. I trade and bank with e-trade, and being my cautious self I immediately withdrew almost everything in my e-savings, which didn’t help them much.. But after letting some of the dust settle I put the money right back in today realizing that I’m likely overreacting.